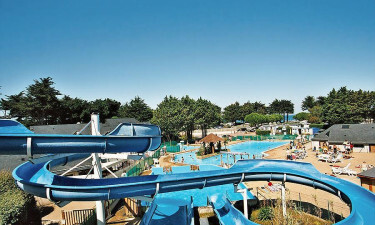 Set right on the coast, close to the top of the Quiberon peninsula, Le Conguel offers families first-rate facilities. Take the effort out of arranging your time in the sun by letting the team at LuxCamp take care of all the details. The enchanting seaside setting that this luxury camping site boasts makes it the perfect place to use as a base while soaking up the sun. 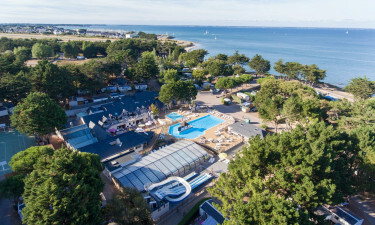 A charming traditional town can be found less than a mile away, while guests are sure to love exploring the area and taking a relaxing ferry ride across the stunning Quiberon peninsula at sunset. 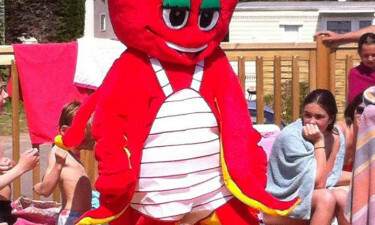 Why choose Camping Le Conguel? One of the site’s most impressive features is the large outdoor swimming pool complex, which features a children’s aquatic play area and an adjoining shallow pool. There is also a large, covered pool that is a great place for fitness enthusiasts to swim laps. Guests at Le Conguel will find a gorgeous stretch of sand just a short walk from their mobile home. A number of pretty paths lead along the coast, while equipment is available for hire from the neighbouring water sports centre.